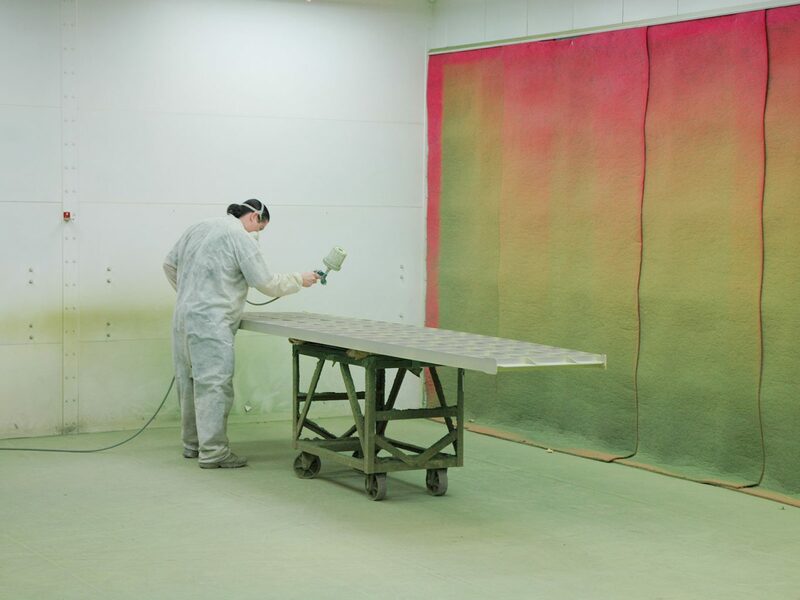 Global Finishing Solutions® (GFS) Open Face Paint Booths are flexible, cost-effective solutions for a wide variety of finishing applications, including wood finishing, parts and components painting, motorcycle refinishing and batch equipment painting. The open-front design saves valuable floor space and makes it easy to move products and parts in and out of the booth. Starting as low as $3,264, choose from 260 pre-engineered models with fast shipping, or we can custom design an Open Face Booth to meet your specific requirements. Choose from 260 pre-engineered models in various widths, lengths and depths, with fast shipping, or we can custom design an Open Face Booth to meet your requirements. With many features and options to choose from, you are sure to find the right size spray booth for your specific application. 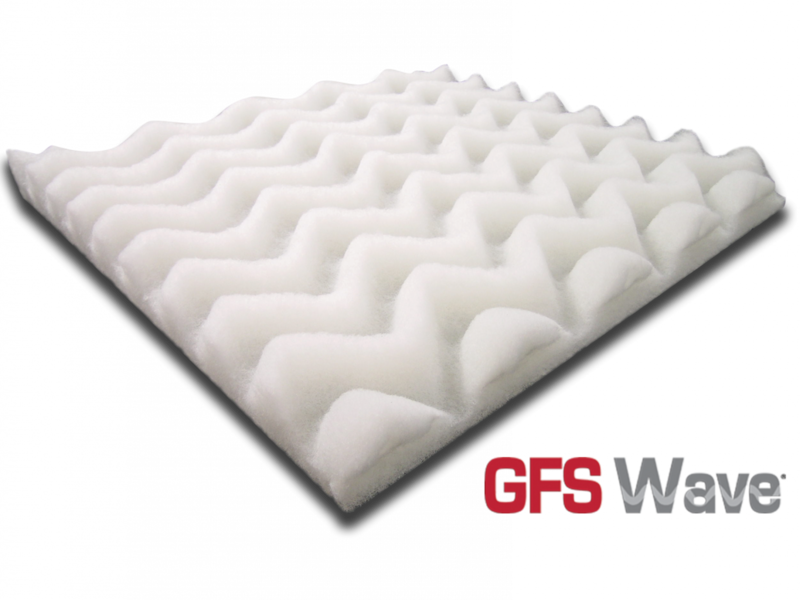 GFS Open Face Booths come complete with a full set of 20-by-20-inch GFS Wave exhaust filters. Installing and replacing filters is easy with the grid system; you can avoid waste and save cost by replacing only the filter squares that need changing. An included manometer indicates when filters need to be replaced. 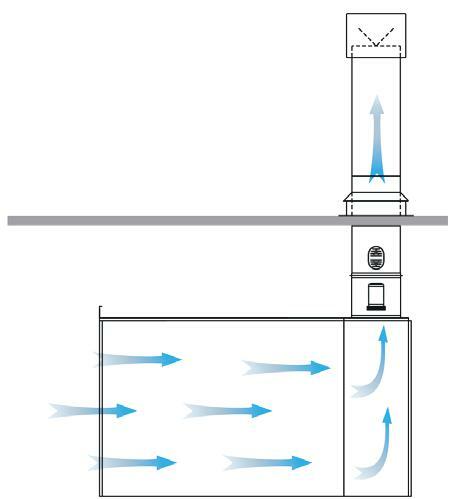 The most cost-effective airflow style, crossdraft airflow offers reliable performance at an affordable price point. Since there is no pit to dig, crossdraft booths are also easier to integrate into existing facilities. 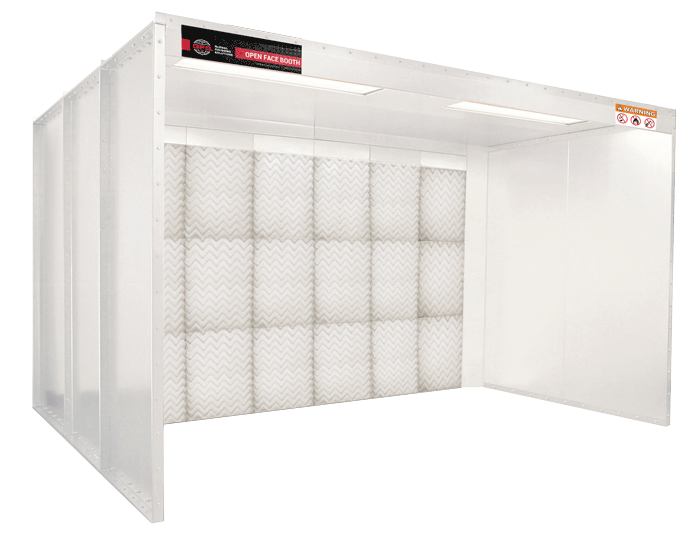 In Open Face Booths, unfiltered air enters at the front of the booth and flows horizontally through the booth, flowing over the product and into a filter bank in the booth rear. Let us know your product requirements, and we’ll put you in contact with a distributor in your area.